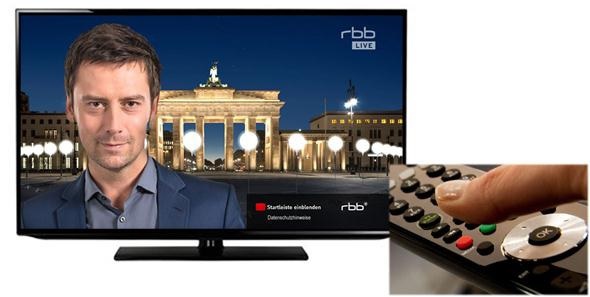 Berlin Wall HbbTV application was developed in Europeana Space by German broadcaster RBB. The HbbTV application is based on a dossier of 250 archive videos ranging from events leading up to the building of the Berlin Wall in 1961 to German re-unification in 1990.“The Berlin Wall” application has been available since 3 October 2014, on RBB Fernsehen, the RBB TV channel. Via the red button on the remote control, users can start the application on their TV and watch any of the videos and read the accompanying information. The application is available in both English and German. In addition to the SmartTV application, a small spin-off demo was developed, it combines mobile use and SmartTV viewing, to create a Berlin Wall tourist experience. 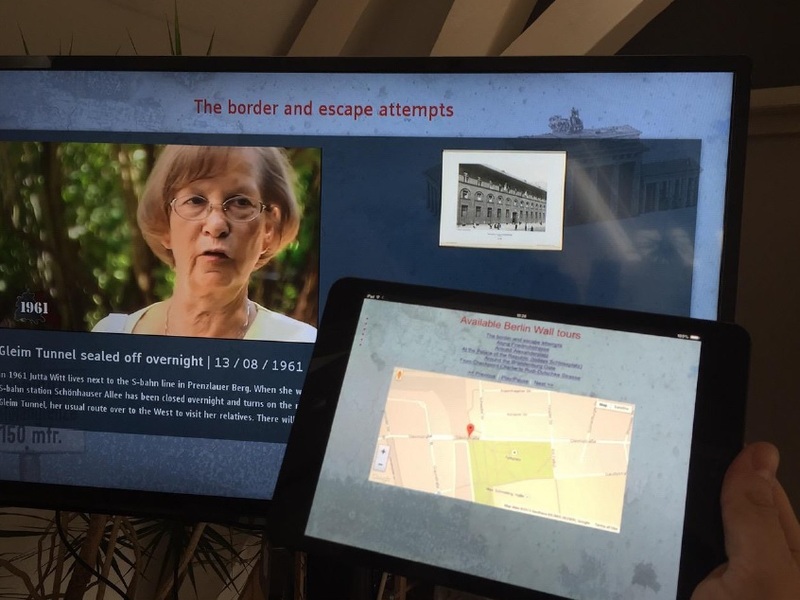 The aim of the demo app was to use LinkedTV Editor Tool developed by Sound and Vision R&D and Noterik’s Multiscreen Toolkit to create an application combining RBB’s Berlin Wall content with related material from Europeana. The app provides a companion screen service: on a mobile device such as a smartphone or table a user can select one of several the Berlin Wall tours. The tour is displayed on the mobile device; a map shows the route of the tour and points of interest, with related content form Europeana while the videos are played on the SmartTV screen.